The night I met my worst date experience! 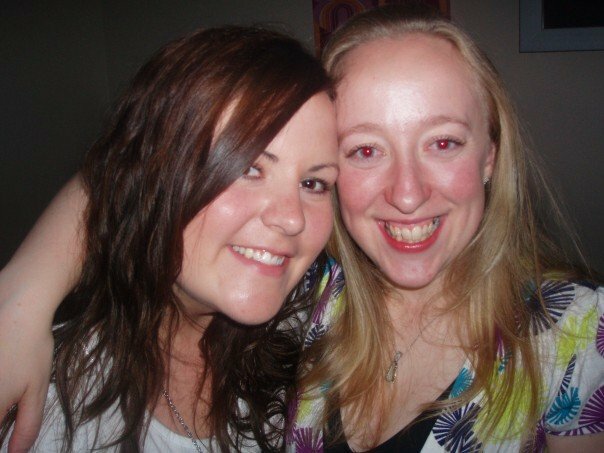 I met the other half back in 2008 during my final year of university on a night out in Brighton. On our first date we met for drinks and ended up going to a few pubs. On our second date he took me to dinner and of course we went on to have several more dates and the rest as they say is history! Now we have two beautiful children! It is coming up to our ten year anniversary which is just crazy, time has flown! Prior to meeting my other half I hadn’t really been on that many dates, I’d been in a long term relationship and the next date I had after that I was really excited to be going on. Even though I was at university in Brighton, the guy was actually from near my home town which was a positive start! We met in a local pub and got on really really well, had lots of laughs and I saw potential for a second date which we agreed we would organize. However I never heard from him again, he didn’t respond to a text I sent or try to contact me. I never understand why this happened or why it still happens to others. If you’re not keen to meet again why not just be honest about it?! The next date I went on was after a night out with my friend back in my home area. We bumped into her brother and his friend whilst we were out and spent some time with them. The next day her brother’s friend contacted my friend to ask for my number, she asked me if it was ok before giving it to him and we planned a meet one Sunday afternoon. I remember the day quite well as it was the worst date I have ever been on! Not that I’ve been on loads of dates but this was the direst out of a few! It was a lovely sunny summer’s day and we met in a pub. We sat in the garden to enjoy the glorious weather but unfortunately I did not enjoy his company as much. He wasn’t unpleasant in any way, shape or form but on the shy side. I found myself trying to stimulate the conversation and was getting very little in return which did make me feel on the uncomfortable side as there were a lot of awkward silences! I found it very odd as I can be on the shy side myself but was the one doing all the work on this date. He did contact me a couple of times afterwards by text but we never met again. I feel quite lucky that I can call that the worst date experience I’ve ever had. I know things have moved on in the dating game since I was in it. There are lots more dating sites available, including free dating site ‘We Love Dates’. I’ve perused a couple of sites when helping some single friends pick a possible date which they’ve paid to do, whereas We Love Dates offers free dating. I have worried about friends when they’ve been meeting strangers and made sure they would contact me or someone else if they needed an escape! Thank goodness the ‘Ask for Angela’ campaign is now an option for those that feel uncomfortable on their date, not an option that was available years ago but I’m grateful to say I wouldn’t have needed to use it.